This is a great cruise and was a very popular one in years past. 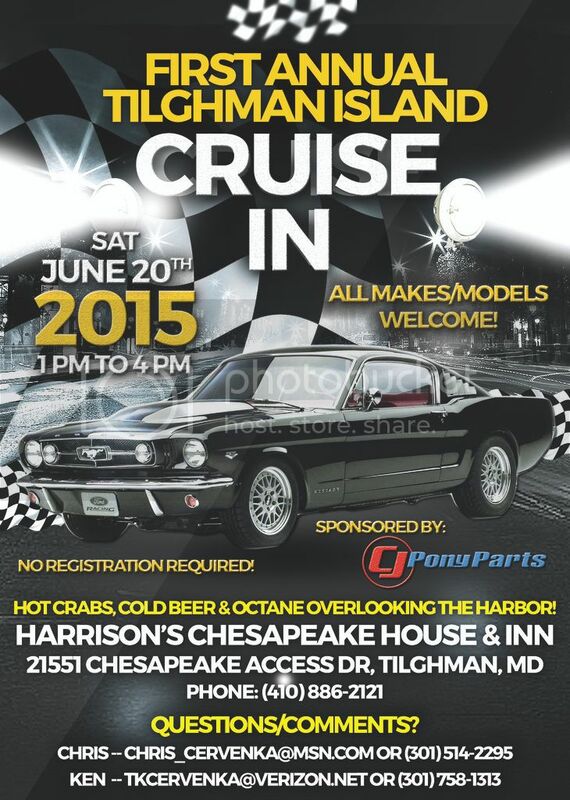 It has been 2 years since the last time this happened, and Chris Cervenka has decided to run the cruise and in addition add a car show into the mix. This is one you don't want to miss, and bring the family too. Lunch: Restaurants are available around St. Michael’s area. 10:50 AM – 11:45 AM - Hang out in St. Michael’s and take some pictures, grab lunch. 12:05 PM – 01:00 PM - Get organized for Car Show/Clean Cars, etc. 05:30 PM – 06:30 PM - A little fun at the point – photo opp, etc.